Just passing it out as expression of interest for a new LR range (800meters, maybe 800Yds). 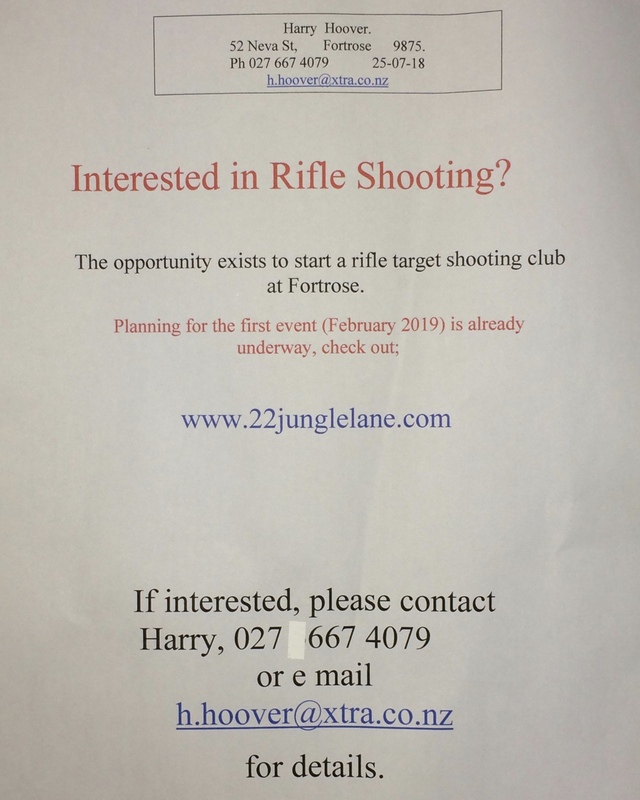 Harry Hoover is setting it up in Fortrose and want to get all the people interest in join "The Club". I am attaching a photo with his contact so you can email him direct and he may give all a general regular update. The range is in a working farm so it will not be a 24/7 operation but with regular arranged sessions, Harry can give more details later on. Please if you interested drop him a message, visit his FB page "22junglelane"
The Claw, 199p, KiwiinSeattle and 3 others like this. outdoorlad and PERRISCICABA like this. Please don't support this, I need him to move back to the North Island so he can get Hangawera Station range back operating again. HAHAHA! You wish @Beetroot! We already “brand” him a shouthlander! Ahwell it was worth a shot. PERRISCICABA and WallyR like this. @Beetroot, a person like Harry will be always desired near us, he is a great guy even thou i know just a little, a good friend who know him and shot with him put me in contact a while back and even then he was a great person to talk and deal with.